Will Clarke be able to prevent all-out war between the Sky People and Roan's Ice Nation army? 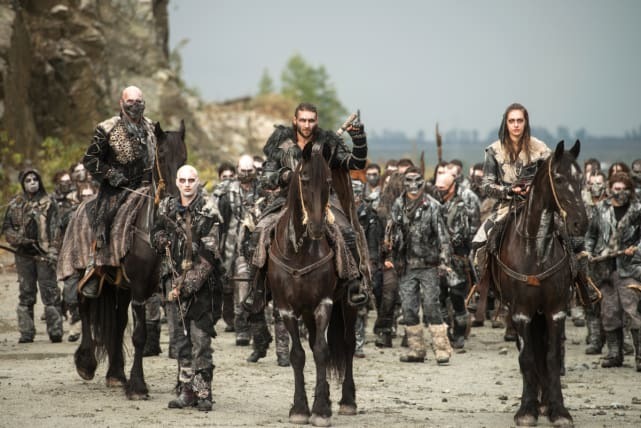 After the events of The 100 Season 4 Episode 4, it seemed that a fight between the grounders and Skaikru was virtually unavoidable. Echo had successfully convinced Roan that Clarke and the others were working against him, only hoping to ensure the survival of their own. In reality, of course, Clarke, Abby, and the others were desperately looking for a way to save everyone – grounders and Sky People alike. 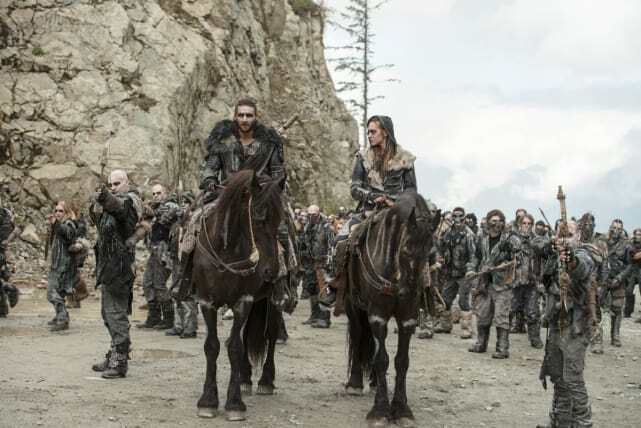 When "The Tinder Box" picks up, it appears that Roan is leading a march on Arkadia, seeking to take it for his own safe haven during the oncoming nuclear apocalypse. He's even brought along Kane and Bellamy as his prisoners, in an effort to force Clarke to give up their shelter. Will everyone make it out unscathed? 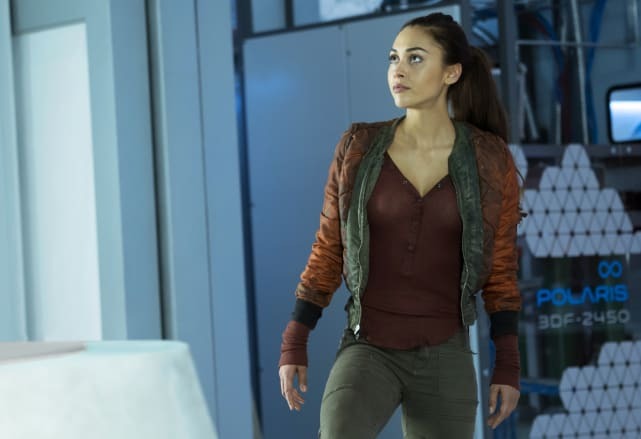 Check out these images from The 100 Season 4 Episode 5 below for a hint of what's to come, and tune in to watch "The Tinder Box" on Wednesday, March 5th at 9/8c on The CW. 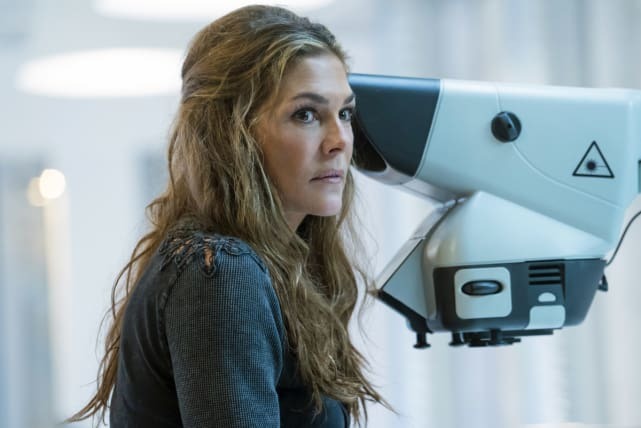 Remember that you can also watch The 100 online here at TV Fanatic anytime to catch up on any of the post-apocalyptic drama you might have missed! 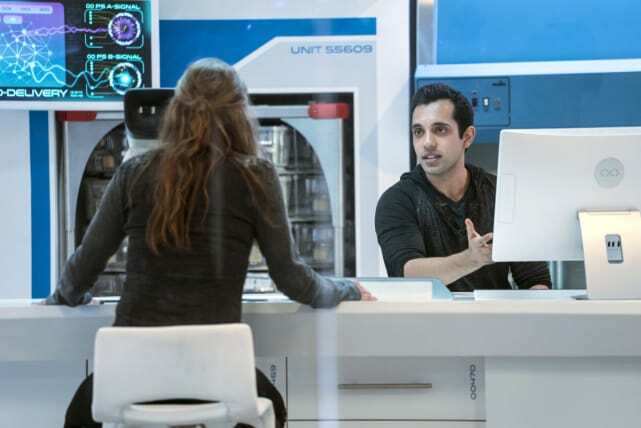 Now that Abby has found Becca's lab, will she be able to use it to figure out a way to recreate the nightblood serum? Luckily for Abby, she has her right-hand man Jackson there with her to help turn Luna's blood into a viable solution to save everyone. Raven convinced Luna that humanity is worth saving. But the question is, how far is Raven willing to go – and how many lines is she willing to cross – to save her people? 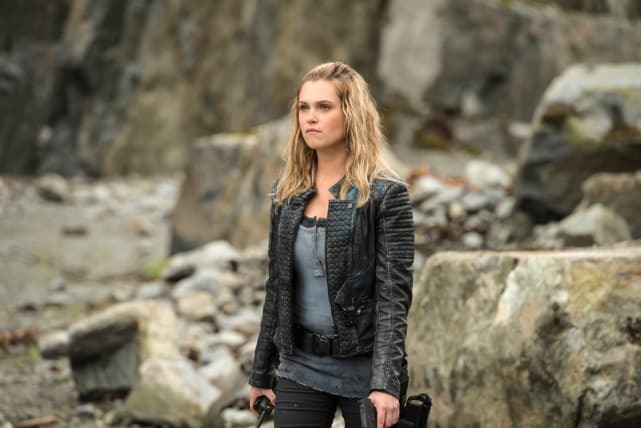 There's tension between Clarke and her people at Arkadia, after the uncovering of her list of the 100 who would be allowed to live in Alpha Station. 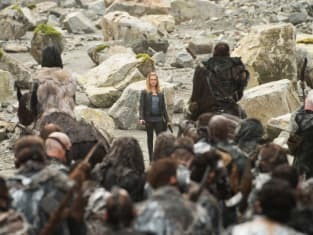 Roan brought what appears to be the entire army of Azgeda with him to confront Clarke and the Sky People.